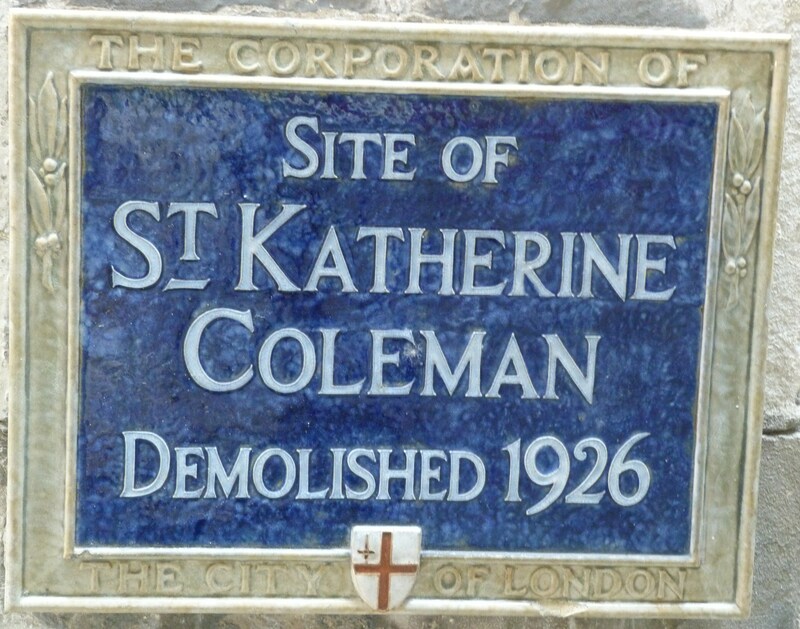 St Katherine Coleman was originally built around 1346, restored in 1489, and extended in 1624. 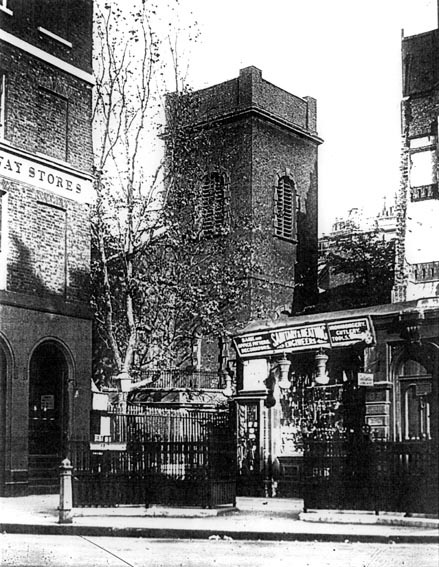 It survived the Great Fire of 1666, but was rebuilt by James Horne in 1739-40, in the “Vernacular Palladian” style, and demolished in 1925, when the parish was merged with St Olave Hart Street. Part of the former churchyard survives, and a Corporation “Blue Plaque” marks the former site of the church. This entry was posted in 14th Century London, Series: Lost churches (initially survived) on September 27, 2014 by Bob Jones - The Lost City of London.